There’s nothing like a good crisis to change the course of history. Case in point, David Kalis, who witnessed the collapse of the Soviet Union while on a month-long trip to Leningrad, and ended up staying for another two-plus years as the country transitioned into a quasi-kleptocratic, Mafia-flavored, not-so-capitalist nascent state. 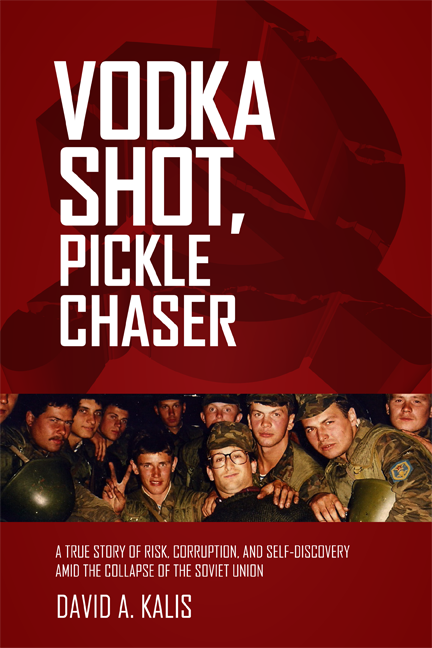 His new book, Vodka Shot, Pickle Chaser, takes the reader on a wild ride through those heady times. As we follow the author through his time in post-Soviet Russia, it’s a quick and lively read. We meet entrepreneurs and prostitutes, corrupt bureaucrats and the gangsters who pay them off, and a host of normal Russians who are trying to make sense of how the world is changing and how they are going to fit in. 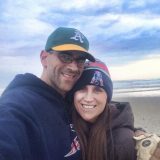 The stories Kalis tells are poignant and interesting, and refreshingly honest. It’s nice to read about how he masters Russian and carves out a niche for himself doing real estate deals, but it’s also important to keep in mind how he also existed above the fray, mostly, with his unique access to dollars and American-style luxuries in Moscow of the early 1990s. At the same time, his encounters with the Mafia and stories of real danger make you admire his chutzpah. It’s a narrative you will enjoy reading as you laugh, smile, and cringe through stories of dark nightclubs, hiding in snowbanks, and doing vodka shots with, yes, pickle chasers. I met Kalis a few weeks ago during a talk about how to promote Jewish identity development for today’s generation of Jewish kids. For Jews of my generation, or my parents’, strong identities were usually developed via responses to major crises or events related to the Holocaust, Israel, saving Russian or Ethiopian Jews, or fighting assimilation. It requires a healthy amount of self-awareness and honesty to have such a thought and act on it, but Kalis certainly doesn’t lack conviction or purpose; he’s a man you can relate to and believe in. As a reader I celebrate his story and his realization of his Jewish identity, and as a parent and teacher I wonder how we can push our kids to find those same feelings through their Jewish experiences in an age of assimilation.